Tis the season to scramble and get those last minute gifts made. My dear friend Alycia has offered to host a last minute gift class at her house. 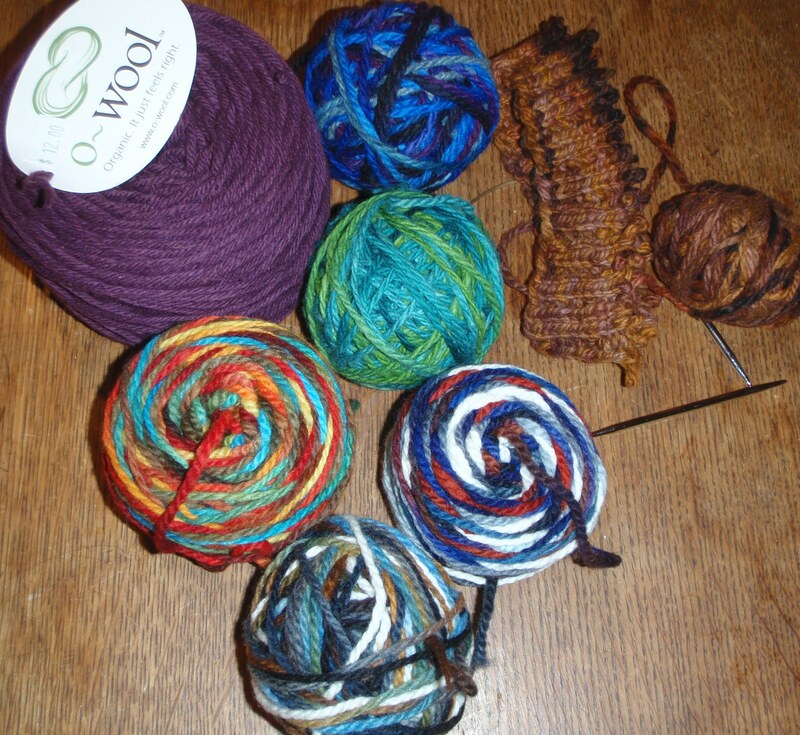 So gather up that beautiful worsted weight yarn you have laying around and join us for some serious knitting fun! 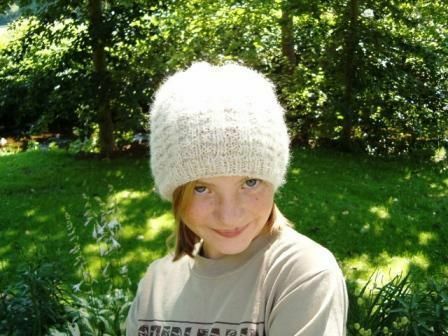 We’ll be making Gail Bable’s Waffle Hat (http://www.ravelry.com/patterns/library/waffle-hat). It’s great for men, women or children. Please email me at happydaymomma@gmail.com to sign up. 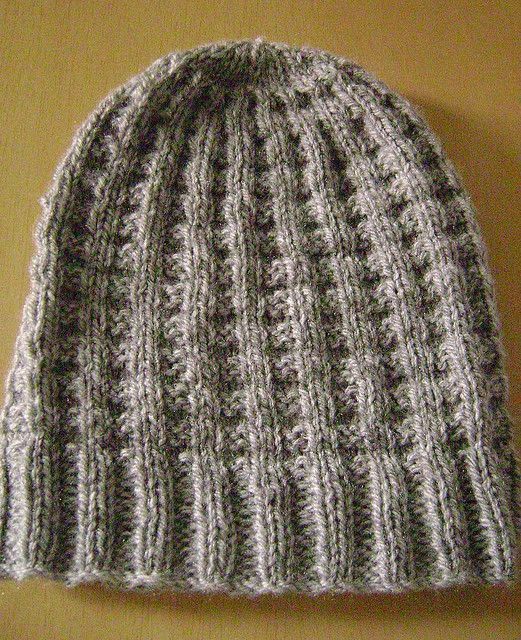 Turns out this yarn is a much thicker worsted weight than the Araucania I originally wrote the pattern up in, so this pair ended up being a whole size bigger. It’s not really a problem, as the babe will probably be in smalls for a lot longer than newborns. Mostly I just have to keep it in mind for when I’m writing the patterns. And speaking of writing patterns, I just signed up several pattern testers for this longies pattern, so the ball is really rolling now! I also just got started on the next size up – medium. If you’re interested in being a pattern tester for this longies pattern comment on this post and I’ll get you all set up. A few days ago I got some wonderful Mosaic Moon (on Cestari) yarn scraps in the mail. 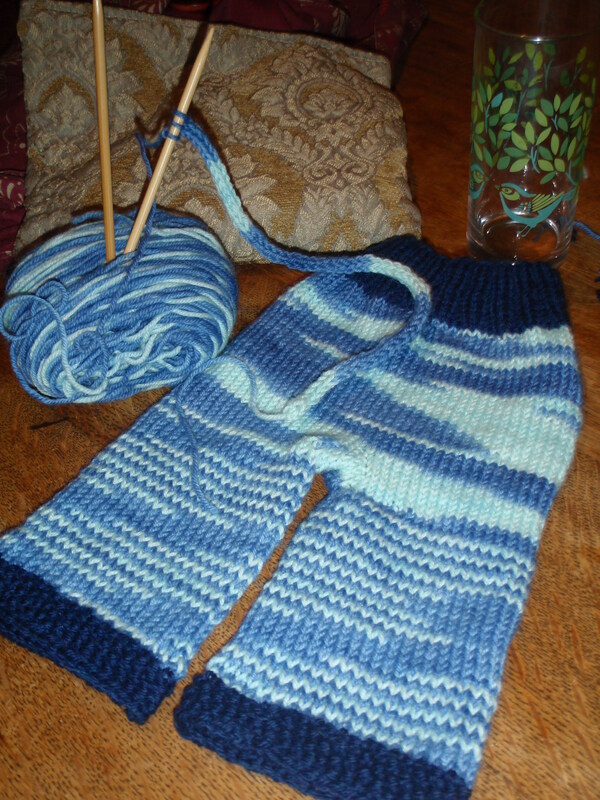 And last night I couldn’t sleep, so I decided to get started on a pair of scrappy longies for Baby Moo. 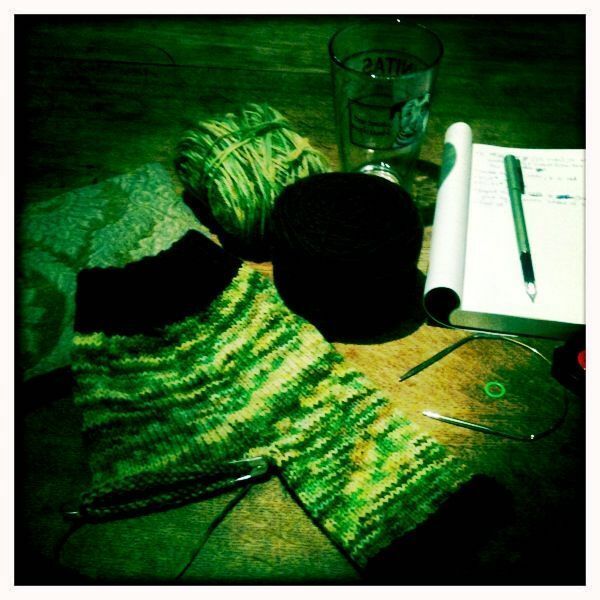 I got most of the way through the waist band before I pooped out and had to go to bed. This morning I changed my mind about using one of the Mosaic Moon colors for the trim (waist band and leg cuffs), so I found a good coordinating trim from my stash (O-Wool, in an eggplant kind of color). 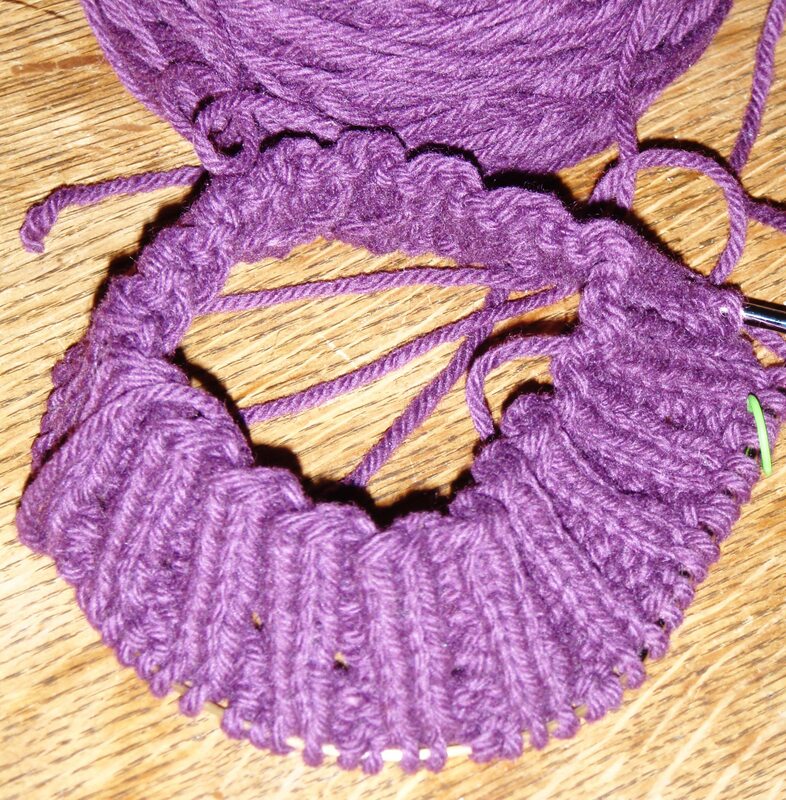 I frogged the first waist band and got to about the same point on the second. Here are the progress photos. Just put the finishing touches on the brown and green longies, and another pair of green shorties that I’ve been working on. 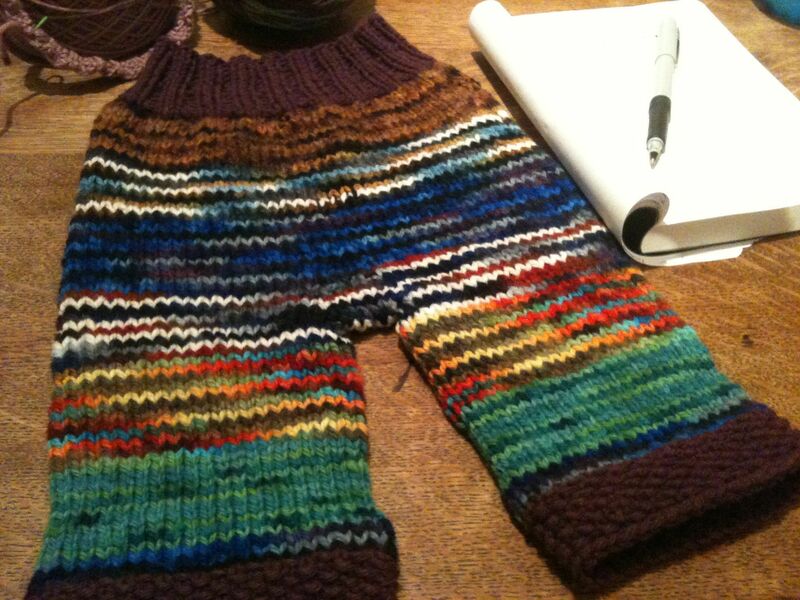 The longies are knit in Araucania with Cascade 220 trim. 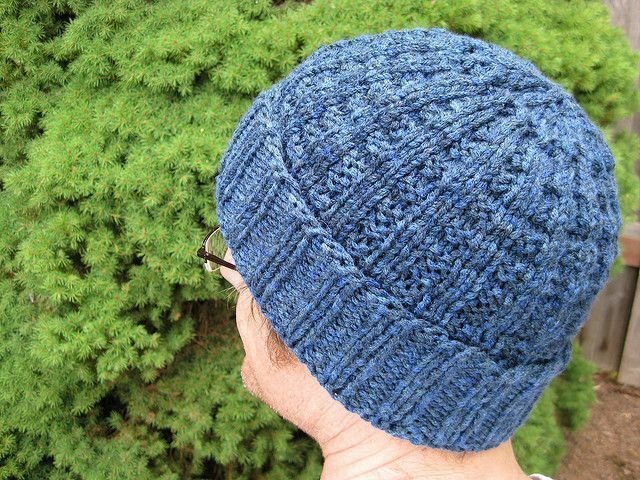 And the shorties are knit in Purewool (Forest of Pines colorway) – which is quickly becoming one of my favorites… it’s so deliciously soft and fluffy! 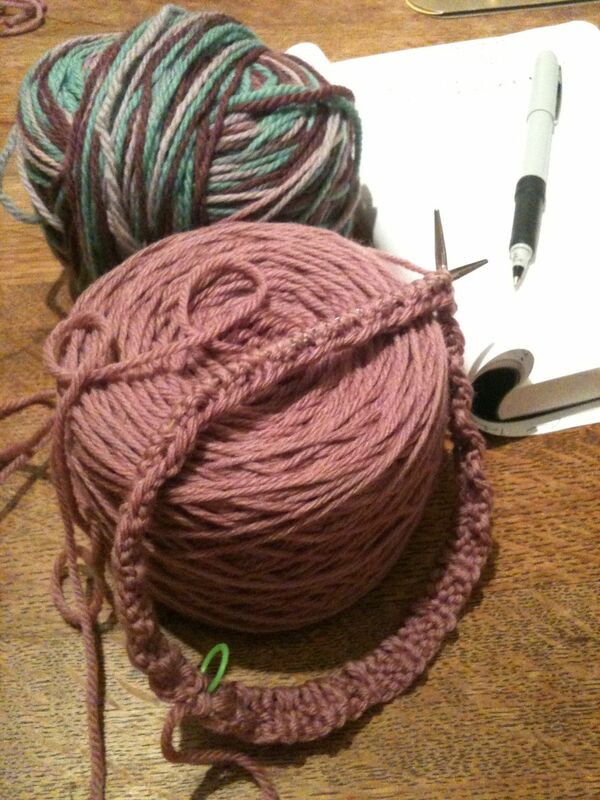 A glimpse of my Sunday evening knitting project…. 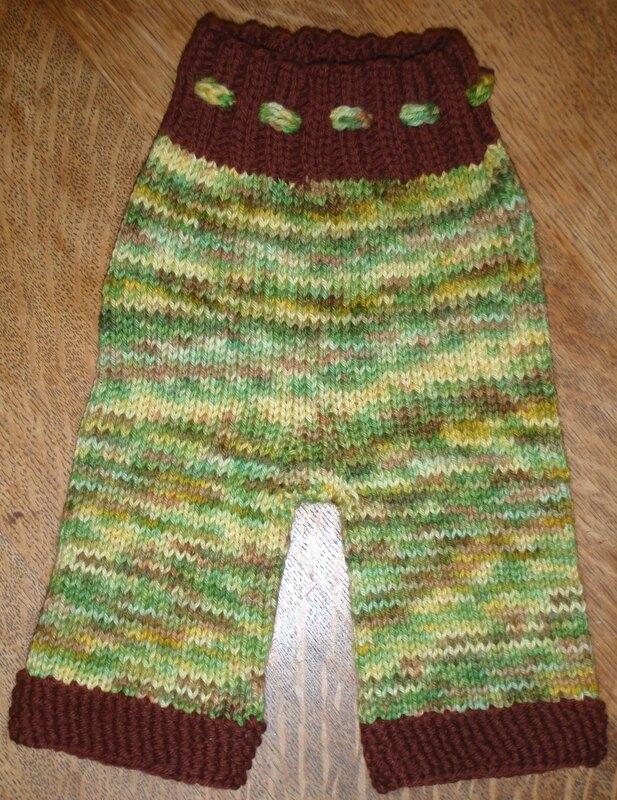 Just finished up the first leg of this second pair of newborn longies. Guess this is not officially a “work in progress” anymore, but I wanted to share anyhow. 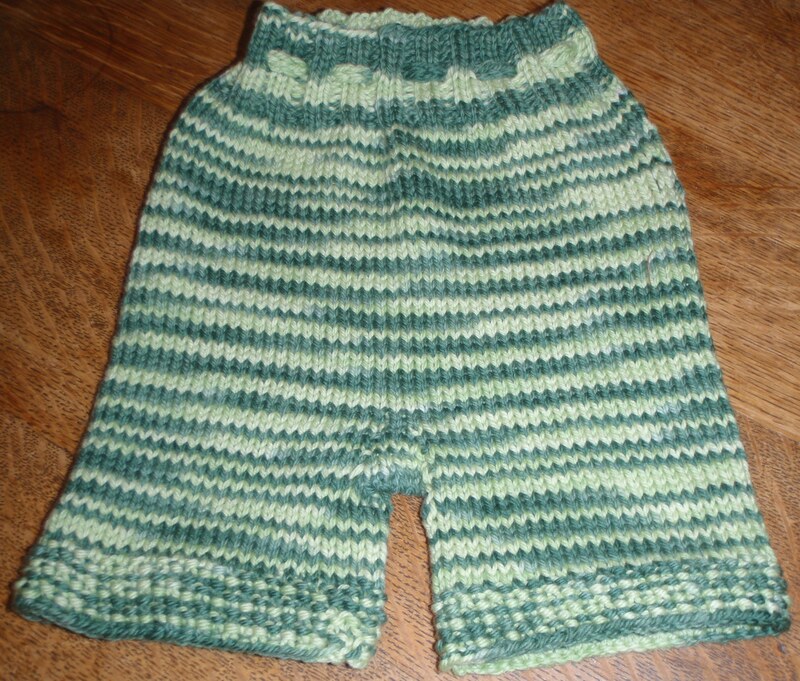 The first pair of newborn longies are officially finished! All finished, drawstring and everything! Aren't they cute?! 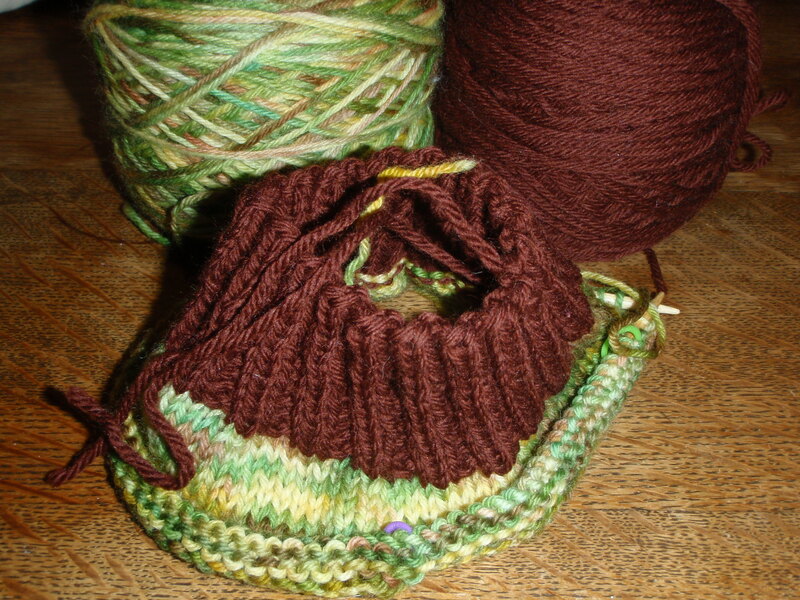 And yesterday I started on the second pair in this lovely Araucania yarn, with subtle greens, browns and yellows. 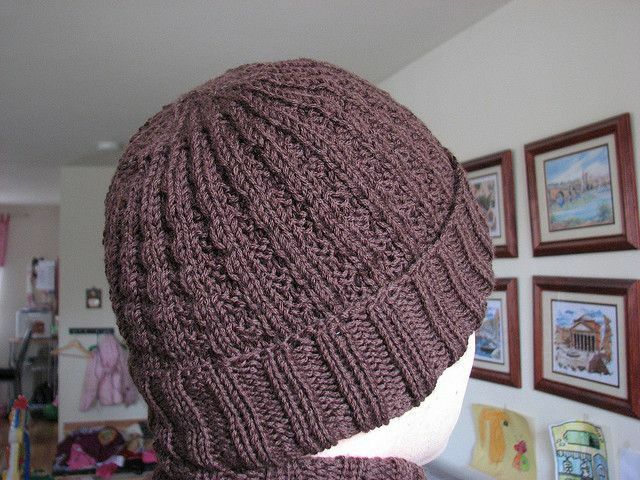 I’m using a dark chocolate brown Cascade 220 for the trim. I’ve tried so many longies patterns and never found one that really fit perfect, so I’ve been working on writing out my own pattern… it’s been a long, long road, but it will be finished one of these days! 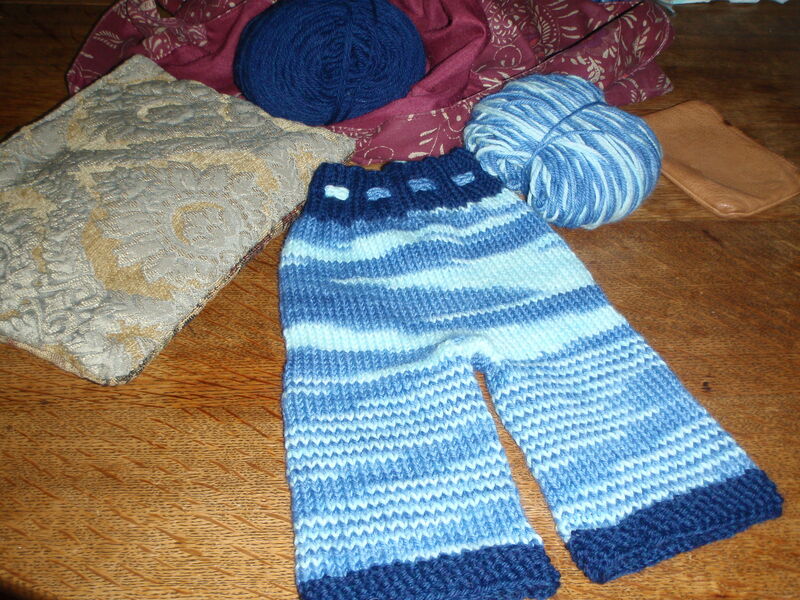 This evening I’m listening to Blue Monday on the radio and finishing up this lovely *tiny* little pair of longies (wool pants used to cover cloth diapers – the wool serves as a water proof cover). The first of many to be made for Baby Moo. I just have to finish the chord and they’re all done!